Don’t let this opportunity to cater to your current and potential customers pass you by. To set up a reseller account with us and get a no-risk introduction to our products and services, please fill out the form below and we will get back to you as soon as possible. Your customers are already looking for the Worm Factory® 360. We and to help them find you! Despite the recent downturns in other markets, the green and sustainable markets have seen steady increases over the last four years. 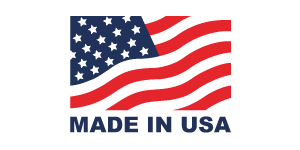 Your customers are concerned about energy and food issues, and many are looking for quality, made in the USA products to help them live a more sustainable life. The Worm Factory® 360 allows your customers to recycle a large portion of their disposable waste AND produces wonderful, living soil for their gardens and houseplants, in the process saving them money on their garbage and grocery bills. Nature’s Footprint offers a complete picture when it comes to the green lifestyle. Our expanding product line will compliment your customers’ lifestyle needs, generating return sales and customer loyalty for your business. The Metro-GrowerTM, our self-watering container gardening solution, allows them to grow their own food, regardless of where they live. Our Coco Coir is a 100% renewable soil amendment that helps plants develop stronger root systems and retain nutrients longer. Our Siroflex Starter Kit makes changing attachments on your garden hose a snap, and helps your customer conserve water. Online reseller? You generate the sale, we take care of the rest for you! Our goal here at Nature’s Footprint is to make things as easy on you as possible, and give you the tools you need to succeed online. Our dropshipping program is easy to use and hassle free – and we back it up with warranties on selected products and excellent customer service. We happily dropship anywhere in the US, and we usually ship on the same day that the order is placed. Efficient and FREE drop ship program. We can handle all of your requests, small or large. No minimum order requirements, whether ordering single units, pallets or containers. Great customer service, available to handle any inquiries you or your customers may have. Online ordering system makes placing and tracking your orders incredibly easy. Orders are usually processed same day, and shipped in 1-2 business days. © 2003-2015 Nature's Footprint, Inc.